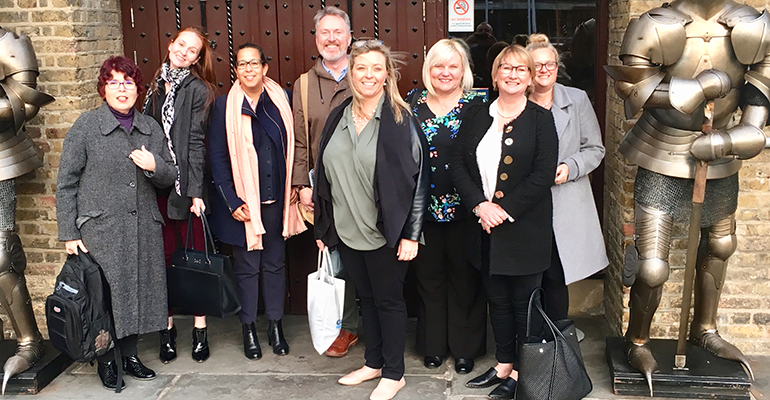 After recently taking part in a UK gifts in wills fundraising study tour, The Smith Family’s Jakki Travers offers her key takeaways from the trip. Australian fundraisers taking part in the UK gifts in wills study tour. I’m a gift in wills tragic! I love everything about this specialisation. So, when I heard about an upcoming UK study tour that focused solely on gifts in wills fundraising (or legacy fundraising as they call it over there), I quickly applied and was delighted to be one of the seven fundraisers selected. Over four busy days in London, I attended the Institute of Fundraising’s annual legacy conference and workshops with specialist organisations that support the gifts in wills fundraising sector. I also visited two of the UK’s largest charities. The landscape for gifts in wills fundraising is very different in the UK – where legacy giving in 2016 was worth £2.82 billion (A$5 billion) – and they certainly have some advanced services to support gifts in wills fundraisers that we don’t have in Australia – yet! For example, the unique notification service offered by Smee and Ford, a legacy information provider, lets charities know if they’ve been named as a beneficiary in someone’s will. In contrast, Australian charities must rely on finding this out from an executor or next of kin, who may not prioritise charitable beneficiaries. Often, we don’t know about a bequest until a cheque arrives in the mail! 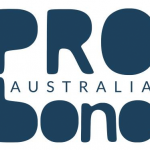 It would be a real benefit having this service in Australia because not only would it ensure we receive distributions we’re entitled to, it would also allow us to speak with executors and solicitors early in the estate administration process. This would give us the opportunity to ask to receive our share of the estate in specie which would make our distribution from the estate go further. The UK also has the Legacy Foresight research firm which conducts extensive forecasting work around gifts in wills. Currently, they’re looking at different scenarios around Brexit and what might ensue for charities when the UK leaves the European Union. Legacies are very tied to the economy. When things are good, they go up; when things head south, there are just fewer charitable gifts. Legacy Foresight also offers deep insights: charities can see how they compare to others on the legacy front. Even better: a health charity, for example, can see how they’re performing in the legacy market compared to their health charity peers. We need Legacy Foresight in Australia. For my charity visits, I went to Cancer Research UK and the National Society for the Prevention of Cruelty to Children (NSPCC). Cancer Research was quite something: their fundraising team brings in a staggering £180 million per year (A$360 million) in legacy income alone! With the charities I visited, it was great to see that legacy fundraisers were divided into specialist or even niche roles: strategy, acquisition, retention, events, digital engagement or estates administration amongst others. At Cancer Research UK, they have 100 people on their legacy team. Of that, 25 people work in estates administration, and three people actually prepare development applications for when the charity receives a house or piece of land as a charitable gift. That last role doesn’t even exist in Australia! Most charities in Australia don’t have that degree of specialisation, and I’d love to see more Australian charities invest further in their gifts in wills programs to have specialist marketers, relationship managers and estates administrators working together. It’s not often that one person is highly skilled in all three areas. At the legacy conference, I also discovered fundraising teams are doing much work internally amongst staff to promote legacy fundraising. In many charities, new employees are given training at their induction which means every staff member can have intelligent and considered conversations with supporters about the importance of gifts in wills. Legacies are everyone’s business, not just the fundraising teams. This is a great idea, and certainly one more of us could look to bring in-house in Australia. I was surprised to learn how dependent UK charities are on will-writing days to generate legacy income. This is due to the more stringent regulatory environment that now prevails in the UK thanks to the introduction of the EU General Data Protection Regulation and other legislation that was imposed on the sector after the Olive Cooke scandal. As fundraising staff can’t contact people by phone or mail without their permission, the focus now is very much on the bigger picture and above-the-line activity. There’s more emphasis on public events like will-writing days where solicitors prepare low-cost wills and prompt people to consider including a charity in that will. However, in saying that, the charities I visited were both undertaking traditional direct marketing and telemarketing campaigns – albeit on a much smaller scale than previously. Will-writing days are an area of legacy marketing I’ve never been entirely convinced about, and it was great to have a thoughtful discussion with staff at two of the largest charities in the UK about the benefits – and challenges – will-writing days pose. They volunteered that such campaigns need to be run on an enormous scale to be cost-effective. UK charities are also placing more emphasis on storytelling to connect emotionally with donors, and this has resulted in some very creative above-the-line campaigns, especially direct response TV ads. We saw some lovely ads at the conference – the NSPCC’s Guardians campaign particularly resonated with me. I had always heard that UK legacy fundraising was a couple of years ahead of where we are in Australia, and at the opening session at the IoF Conference, the message being promoted was UK legacy fundraising was leading the pack. While I accept that the UK is undoubtedly more sophisticated around legacy support infrastructure, internal promotion, advertising and role specialisation, my colleagues and I can honestly hold our heads up and say that Australians fundraisers are doing exceptionally well – despite having considerably smaller budgets and resources. In Australia, I think we’re better at donor stewardship and engagement of existing supporters. At the conference, I didn’t hear many UK charities talking about good stewardship programs and at the charities I visited, stewardship seemed to be the remit of regional offices and community fundraisers, not something that happened in national headquarters. This might be a factor of scale. It must be challenging to try and remain closely connected with tens of thousands of supporters in the UK as opposed to a few thousand here in Australia. But I do feel Australian gifts in wills fundraisers are more effective in having personalised, genuine supporter engagement which keeps our donors more directly connected to our charities. While there appears to be more above-the-line activity to convert and inspire people in the UK, in Australia fundraisers are still able to use more individual methods of contact – phone calls, personal visits and intimate events – to have those direct conversations. However, we’re mindful that this could change – as it did in the UK – if stronger government regulation on charity communications is imposed on the Australian fundraising sector. In that case, we may find that we’ll have to follow the UK’s example in using more mass above-the-line campaigns to encourage gifts in wills. My final takeaway: in Australia, we’re making too big a deal trying to discover if supporters have left us a gift in their will. Always asking if we’re in the will yet is not helpful; in fact, it’s downright alienating! But many bequest fundraisers still have KPIs around moving supporters from enquirer or intender to confirmed status. This is an area we need to examine more closely and find meaningful metrics for our programs that meet the needs of our boards but also recognise our donors’ need for privacy around such a sensitive subject. The UK fundraising sector has learned harsh lessons about being overzealous when it comes to supporters, and we should take heed ourselves. I believe every supporter should have the opportunity to hear about gifts in wills, so we still need to ask them “would you consider leaving a gift in your will?” because in most cases if you don’t ask, you don’t get. But then it’s up to the supporter to make an informed decision for themselves about whether it’s the right fundraising vehicle for them or not, and if they want to tell the charity. To conclude, the UK study tour was terrific. It was great to sit with six like-minded fundraisers and talk about legacies from morning to night. It was helpful to find out about services like Smee and Ford and Legacy Foresight and consider what such services could do in Australia. It was brilliant to meet conference speakers who were walking the talk and seeing charities undertaking great advertising campaigns and staff legacy ambassador programs. Another major highlight? London was unusually sunny and perfect for a ride on the London Eye at the end of one jam-packed day! I just wish there had been more time for us to reciprocate and tell UK legacy fundraisers about our work. Another time, perhaps? About the author: Jakki Travers is gifts in wills manager for The Smith Family. The study tour was organised by Include a Charity and Australian Executor Trustees.